Arrange disc released to commemorate the 15th anniversary of the "Mega Man Battle Network" series. 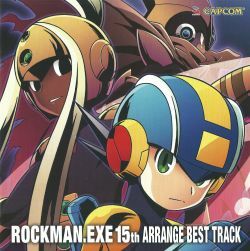 12: originally from CD "Capcom Special Selection: Rockman Xover"
13: originally from CD "We are ROCK-MEN! 2"
Music Coordinator: ATTIC INC., Unique Note Co., Ltd.